The Maldives are the picture-perfect location for watersports. For instance, diving, swimming and blissful relaxing. Motoryacht MOECCA proves the truth of the Maldives charm. The 150′ luxury mega yacht charter vessel plans to call the island archipelago its home, from November, 2011 through March, 2012. WHAT IS THE MALDIVES DRAW? The Maldives offer visitors a number of features. For example, the chance to enjoy crystal clear water and snow white, sandy beaches. The Republic of Maldives is an island nation on the Indian Ocean. It is formed by a double chain of twenty-six (26) atolls. The water temperature is about 31c (87f). The opportunities for snorkeling and diving are endless. There are hundreds of reefs, some in the shallow waters of enclosed lagoons. MOECCA is a 150′ jet drive vessel offering crewed catamaran charters. The twin hulls create a very large stable platform at anchor and while cruising. 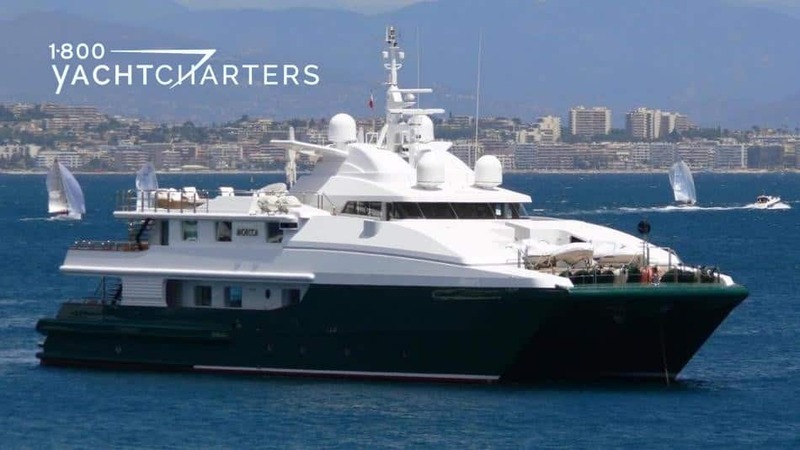 She has a spacious interior volume and a 2150 sq ft (200 sq m) sun deck. Accommodations for 12 passengers are offered in 6 staterooms, each with ensuite bathroom, 20″ flat screen TV, and full entertainment systems. Guest may use a 7th cabin as an onboard private office. High speed WIFI internet is available throughout the yacht. FREE sample itinerary! Interested in learning more about a Maldives Island cruise? Contact our office today. We will email to you a custom Maldives itinerary for onboard motor yacht MOECCA. Maybe you will want to add a twitter icon to your blog. Just bookmarked this blog, although I had to make it manually. Just my suggestion.